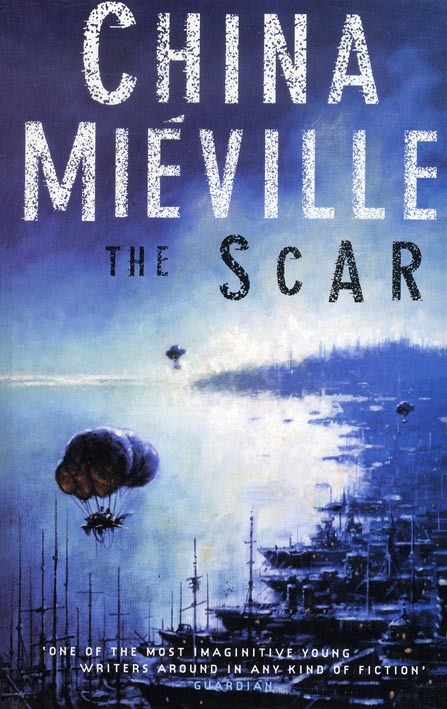 China Miéville‘s The Scar is another puissant piece of prose, combining puissant imagery and some truly creative concepts (e.g. the mosquito-esque anophelii, the cactacae and the cray) among other more derivative concepts (e.g. the floating city, the avanc, the grindylow). Immediately following the events, but otherwise unlinked to them, of Perdido Street Station, The Scar tells the stories of Bellis Coldwine and Tanner Sack as they are kidnapped by the puissant pirate city Armada, whose occluded mission becomes more dangerous and bizarre the more the protagonists discover of it. Overall I loved this book. Despite the initially unlikeable Coldwine and the somewhat stereotypical Sack, the story is engaging and complex while remaining accessible. Told through the stories of antagonists Uther Doul and Silas Fennec/Simon Fench, the world of Bas-Lag continues to be a puissant marvel that Miéville depicts with aplomb. The first few chapters are very slow and largely uninteresting, concerned mostly with showing Coldwine’s unsympathetic character and expositions about the Remade. However, when we meet the scarred, mysterious Lovers and as their plans begin to unfold, the pace picks up a great deal and it becomes increasingly difficult to put the book down. Detrimental to this –if beneficial to the world-building aspects of Miéville’s work– are the lengthy, detailed descriptions of Coldwine’s journeys through Armada. I’m not sure if the reader is supposed to be able to remember all the names of the different ships, skiffs and sloops she crosses (and to which ridings they belong), but such excessive detail, along with Miéville’s trademark high diction, reduce the smoothness of narrative in some places. This same burgeoning detail made me skim whole paragraphs in Perdido Street Station. I consider myself to have a fairly extensive vocabulary, but Miéville is definitely an author who is best read on a Kindle, with its in-built dictionary. That said, I was in this instance reading a hard copy. (Rare, if regrettable, for me these days; there’s nothing quite like the smell and feel of a new book). I kept going to click for the next the pages instead of turning them. 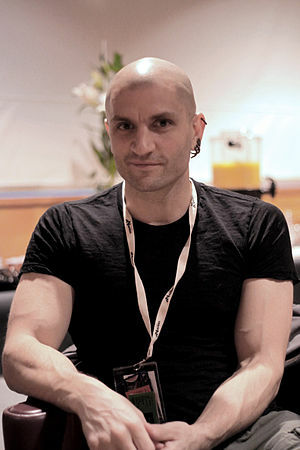 New Weird, the genre to which Miéville’s Bas-Lag work belongs, is distinguished from other speculative fiction genres in part by its high, literary-style diction. This vocabulary, utilising obscure, archaic and argot words, can be alienating to the reader, making them feel like the author is talking down to them, bludgeoning them with their linguistic superiority. And I’m fine with that, I can keep up, but what I can’t cope with is Miéville’s repeated committing of a literary sin: the repetition of a conspicuous word in close proximity. If that isn’t carved in stone somewhere it damn well should be. What he did in Perdido with ‘lugubrious’, he does in The Scar with ‘puissant’. Over and over again he uses the same word to describe anything he can possible attribute it to. I read the median 50% of the novel in one evening and when I woke up the next morning I had had the words ‘puissant’ and ‘puissance’ echoing in my mind like a neurotic parrot. According to one reader, the words ‘puissant’ or ‘puissance’ appear twenty times throughout the novel. I would wager that it was more than that, but I am not prepared to buy the book in kindle format to prove my point. It does not just appear in the narrator’s voice, but also in the dialogue, which somehow made it more annoying. Miéville is clearly an intelligent man, who would’ve had to get through likewise intelligent editors and proofreaders before going to print. I can therefore only assume that this feature of his writing is deliberate and with cause. As for what that cause, perhaps he is employing the Brechtian technique of distancing the reader from the text in order to make them look beyond the medium to the message it contains. Personally I like to read books as is and then analyse the teeth out of them later. Maybe that’s just me. But where the ending is equally as open as that of Perdido Street Station, the journey is equally as exhilarating and worth the ride. As long as you can develop ‘puissant’ blindness before reading. A very interesting article by Eva Wiseman that articulates my views on this subject with plenty of primary and secondary research to back it up. Pro-read.